Naval Group and ECA Group recently established a Technological and Commercial Partnership in the field of Unmanned Mine Warfare. The first practical application was completed as part of the response to the consultation launched by Belgium for a Belgian-Dutch Cooperation for the supply of 12 Minehunters. Mine hunting practices are being revolutionised through the massive use of Unmanned Systems operating on the Surface, in the Air and in the Sea. This paradigm shift will lead to transformations that will affect Naval Forces as a whole. The future Mine Warfare Capability should be established, and then develop, based on threats and technological progress in the areas of staff, equipment, interoperability and organisation, concepts and doctrine, infrastructures and logistics. In preparation for this near future, Naval Group and ECA Group recently established a Technological and Commercial Partnership in Unmanned Mine Warfare, aimed at developing and promoting an offer of Military Mine Countermeasure Vessels (MCM) Integrating Drones, Sonars, Dredgers and Remotely Operated Systems. As Partners in a consortium formed for this call for tender, Naval Group and ECA Group are offering an Innovative Solution for Robotic Mine Warfare, which is fully integrated onboard an MCM Military Vessel. The two Partners have combined all their most effective and robust sea-proven solutions, already in mission with other clients, to provide the Belgian and Dutch Naval Forces with a comprehensive, integrated and Cyber-Secure Solution at a cost-effective ownership cost. In addition to these solutions, the two partners have formed a Project Management Team based in Belgium, which will rely on various local partners, with whom alliances have already been established. 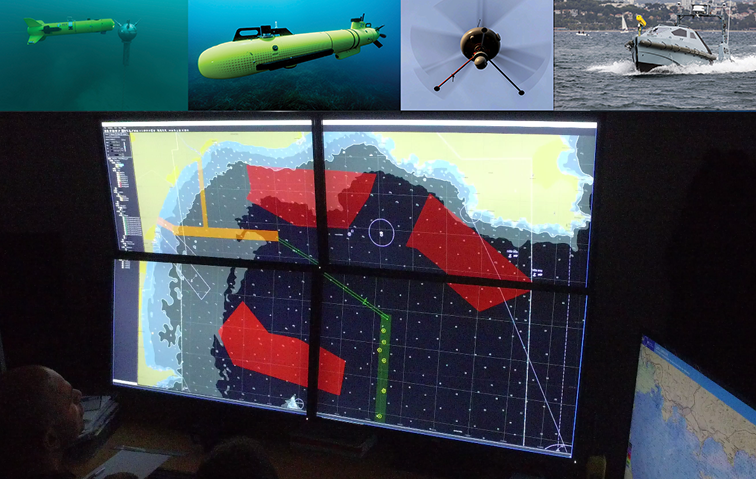 This partnership brings together the skills of Naval Group, European leader in Naval Defense, responsible for designing, supplying and maintaining Military Vessels carrying Drones, with those of ECA Group, a Robotics Specialised Group with expertise in Mine Warfare developed over several decades, responsible for designing and providing resources that may be launched onto Minefields (Drones, Sonars...). This extension of a collaboration born 60 years ago aims to integrate UMIS Unmanned Systems onboard Naval Group Vessels to offer Launching and Recovery Systems guaranteeing a high level of availability of these resources at sea, and to integrate them into the Vessel's Warfare System to manage their mission from end to end. Naval Group is the European leader in Naval Defence. A high-tech company, Naval Group uses its exceptional know-how, unique industrial resources and ability to establish innovative Strategic Partnerships to meet its clients’ requirements. The Group designs, produces and maintains Submarines and Surface Vessels. It also provides Services for Naval Shipyards and Bases.